Lelit PS25 commercial steam boiler with iron and a FREE Teflon Iron Shoe! 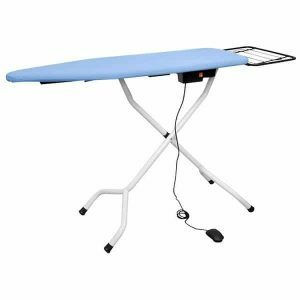 Perfect for ironing services, laundries, B&Bs and any business that needs up to 2 & 1/2 hours of continuous ironing. The Lelit PS25 electric steam boiler with 2.5 litres steam capacity delivers professional ironing results. Comes complete with Lelit PG036/7 iron. It weights 1.8kg and also has an easy grip cork handle. 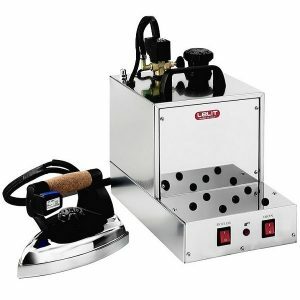 Lelit PS25 Steam Boiler with Iron and FREE Teflon Iron Shoe! Get up to 2.5 hours of continuous ironing with the 2.5 litre steam capacity boiler and iron. The commercial Lelit PS25 electric steam boiler with iron heats up quickly ready for use. 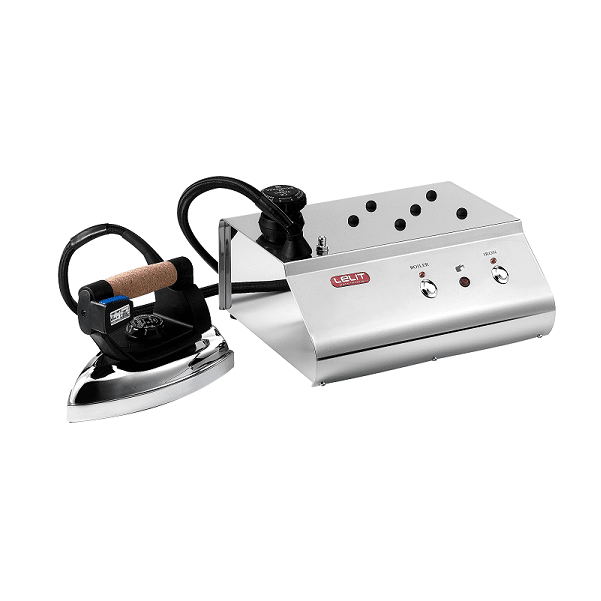 This electric steam generator is fitted with a durable copper heating element. Lelit fit a security cap, thermostat and pressure switch and as a result this boiler is very safe to use. Manually adjust steam output and power to get perfect ironing results without wasting steam and electricity. A pilot lamp lets you know when the boiler is ready to use for steam. When the boiler requires more water a second pilot lamp lights up. 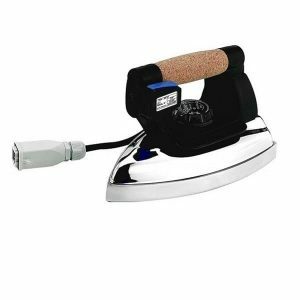 Attached to the Lelit PS25 is a Lelit commercial steam iron which is very effective at ironing out creases. As a result of weighing just 1.8kg Lelit steam irons are light and comfortable to use for hours of ironing. The cork handle on the iron stops hands from sweating. 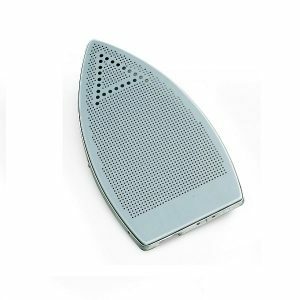 Special holes in the ironing tip channel steam just where you need it to remove creases. In addition the iron has a strong aluminium sole made for years of ironing. In addition to protect garments from a hot iron we provide a FREE Teflon iron shoe with new Lelit irons.